Abstract: Fundus autofluorescence (FAF) imaging is based on the fluorescence from ocular endogenous fluorophores located in the retinal pigment epithelium and choroid, mainly lipofuscin and melanin. It is a noninvasive technique that provides information about the spatial distribution of lipofuscin/melanin and retinal pigment epithelium health status. 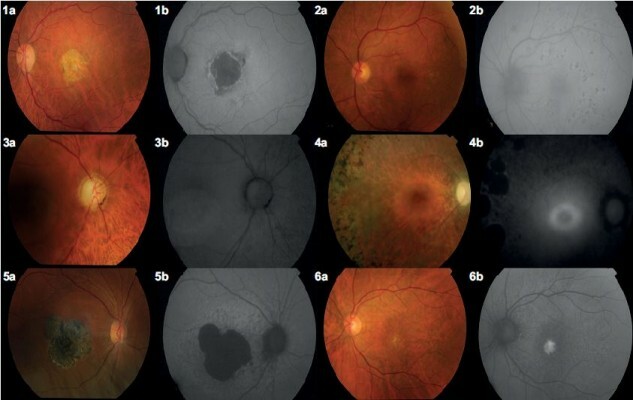 An overview about the fluorophores responsible for FAF imaging and the usefulness of FAF imaging in the noninvasive assessment and monitoring of retinal diseases, such as age-related macular degeneration, diabetic retinopathy, diabetic macular edema, central serous chorioretinopthy, retinitis pigmentosa and retinal dystrophies, are discussed in this review.